In this trainee programme PRIMO provides its members the possibility for international traineeship. It is the possibilty for young academics to exhange with the European wide approach of our association. PRIMO provides the trainees with top-level coaching, support and guidance in the international network of Chief Executives wich are highly involved with risk management and public governance in Europe as well as the European institutions. I would like to take the opportunity to introduce myself. 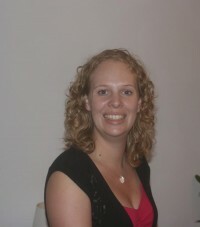 I am Inge Sebregts, 23 years old and trainee for several public authorities in the department of Brabant, the Netherlands. During my traineeship I work in three different projects of six months each. This can either be for the department, a community or the water board. I started 1 September for my third trainee period of six moths as international trainee for PRIMO Europe. My main focus is to take care of marketing and PR of PRIMO Europe. Secondly I support the board of PRIMO Europe with launching two newsletters and assist in preparation of and support for the meetings of the board of PRIMO Europe. I am really looking forward to this exiting job. I like to develop my skills in various disciplines and I think looking past borders is very interesting. I received my Master of Arts in Communication and Information Sciences from Tilburg University. For the past year I worked for the Province of North Brabant as a policy adviser in Internationalisation and for one communitie as a policy adviser in social affairs and labourmarket. My free time is being spent on watching movies, cooking and enjoying nice dinner parties, mountainbiking and traveling.